First Sentence: If you are ever in Brooklyn, that borough of superb sunsets and magnificent vistas of husband-propelled baby-carriages, it is to be hoped you may chance upon a quiet by-street where there is a very remarkable bookshop. Reason for Reading: This book came recommended by a friend several years ago. I have an ancient copy of the book, cover tattered and falling apart, which I found on E-Bay after having no luck finding a new copy online or in the stores. This is my 1910’s selection for the Reading Through the Decades Challenge and my 5th Selection for the Unread Authors Challenge. Comments: If ever there was a book meant for booklovers, especially one who enjoys a mystery, a touch of romance and eccentric characters, this is it. Christopher Morley’s The Haunted Bookshop was a pleasure to read. 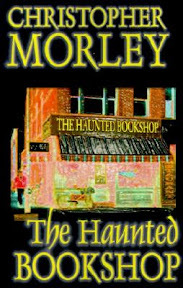 The Haunted Bookshop is actually the sequel to another of Christopher Morley’s novels, one called Parnassus on Wheels. I have yet to lay my hands on a copy of that particular book, sad to say. Having not read the previous book, I had no trouble following along or getting to know the characters. This is very much a stand-alone novel, however. Roger Mifflin is an eccentric bookseller who owns and runs Parnassus At Home, otherwise known as the Haunted Bookshop. One day while Roger is running the shop alone, his wife off on an adventure in Boston, an advertising salesman wanders into the store and makes a pitch hoping to land a new account. Aubrey Gilbert is young and eager, but Roger is adamant that he does just fine with the word of mouth advertising his loyal customers provide him. Just the same, the two strike up a friendship. The bookseller and his wife Helen had previously agreed to take in a nineteen-year-old girl at the request of her wealthy father. Mr. Chapman fears his daughter has taken in too many frivolous ideas, and he believes she is in need of a serious reality check. He thinks that working and living at the second hand bookshop is just what the young woman needs. Titania is a delightful and lovely young woman who turns many heads and yet is friendly and eager to begin this new enterprise. Just before Titania’s arrival, a man comes to the shop looking for a particular book that Roger is sure he once had on his shelf. The book, however, is missing. When the book reappears later on, Roger couldn’t be more puzzled. Thus begins a mystery full of danger and intrigue. Aubrey is determined to uncover whatever nefarious plot there may be, fearing that the beautiful Titania may be at the greatest risk. I was most taken in by Roger Mifflin and his obvious love for books as well as his job. While he is a bit of a book snob, it was hard to hold that against a man who understands the hold a book can have on a reader. Although not a prominent character, Helen is definitely a presence in the book. She is down to earth and sensible while Titania is sprightly in her youth. It is really Aubrey who carries the forward motion of the story, however, ever tenacious in his pursuits. Christopher Morley has written a charming novel that is full of humor, while at the same time it is quite exciting. Set at the end of World War I, talk of peace and the politics of the war place this book more firmly in history as do the events that unfold with each turned page. I definitely plan to continue in my search for a copy of the prequel to this novel and perhaps venture onto some of the authors other writings. It was a pleasure to spend time with him and his characters. Favorite Parts: I loved how Roger put together Bock’s kennel—a booklover’s haven for a dog. The term librocubicularist, which refers to a person who is fond of reading in bed (a word completely made up by the author). Miscellaneous: We went to see The Kite Runner today, which was playing a little closer to home than expected. There are several other movies I am anxious still to see before the year is out. Atonement, Sweeney Todd, Juno, and Charlie Wilson's War are all on our list. I do not know if we will get to them all, but we will put in a good effort. I could tell from the title alone that this was a good one! Great find! Now I just have to see if my librarians can get it for me. This does sound really good. I just read Booked to Die a few weeks ago. Another book type mystery! Loved it. I want to see Sweeney Todd too. I just don't think there will be time this holiday season to do much in the way of movies. Jen - I do hope your library carries it! Since it's just hubby and I this holiday season (and no traveling), we're pretty free to take in movies at our leisure. I kind of feel like I'm the only one out there who isn't busy finalizing holiday celebration plans. :-S Have a great one! Sounds like something I really need to read. I'm sure it would be a dream of many here to work/own a bookstore. Just looking at the book title already makes me want to read the book!!! Thanks for the great review, Wendy. Thank you and same to you, Melody! Thank you for the Christmas card, by the way! I didn't know these books were so difficult to come by. I've had both Parnassus on Wheels and The Haunted Bookshop sitting on my shelf at work, staring at me, for several years. I keep thinking, "I really need to/want to read those." Why I put certain books off when I really want to read them I'll never know! I was lucky enough to get both titles when our library decided not to keep them when they were donated. They are older editions that look like they were maybe read one time. We usually travel this time of year too. But not this year. I feel like I have scads of free time! Maybe a movie would be in order. And of course reading, but there's a no brainer. What amazing, true quotes! I absolutely love them. Wonder if my library would have them. Probably not, but I need to try. I hope to get lots of reading in this holiday. I probably should be doing that now. :-) Have a good one! CJ - I hope your library does carry them. There were some great quotes in this book. I asked my husband if he's ever experienced some of this and he just gave me a funny look. He doesn't quite understand, I guess. This sounds really good. The quotes you posted are great! It's too bad they're so hard to find. Cringe worthy quotes? They were pretty good quotes to me. That's right. Make me all crazy to read a book that's impossible to find. Niiiiice, Wendy. But hopefully republishing will get them back in circulation. I enjoyed reading your review. I have this book on my list for the 2008 Decades Challenge and I'm really looking forward to it now. Great review. Everytime I read one I want to add it to my list of new books. Juli - Thank you. It's definitely worth reading, I think! This one sounds great. I hope I can find a copy. 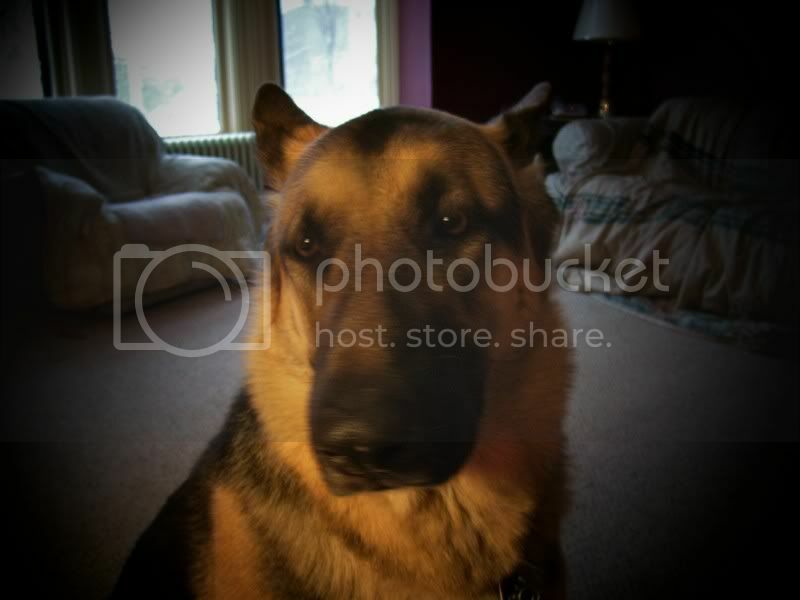 Framed - I hope you can to. It seems easier to come by now that it has been reprinted. I just got Parnassus on Wheels from Amazon. Yay! I am so glad to hear it, Alice! Just got through Parnassus On Wheels after having read this one. I keep looking for a basic list of Christopher Morley's novels but it's like picking out pumpkin seeds from all the other effluvia in a pumpkin! He's had his toe in every pie so the lists are either way too short or way too long. I just wanted a box of books not a box of used tissues! If anyone knows where I can find a basic list of novels I'm muirlock at livejournal. Thanks!